Gone are the days of your zip wallet from middle school. A decent being deserves a decent wallet. Step up to the Brewster Long Wallet available from Corter Leather for $96. The unique, hand-crafted design allows ample space for your day-in-day-out routine. With summer right around the corner, now’s a better time than ever to stock up on some nice, casual summer wear. Made from authentic Indian madras, a lightweight cotton fabric, the J. Crew button-down madras shirt is perfect for any summer outing. The Madras shirt comes in nine colors—though we like the plantation madras, in particular. Available online or in-store for $70. Founded in 1849, Lobb is one of England’s oldest makers of bench-made shoes. Everyone from Royalty to Hollywood has had a pair of John Lobb’s. The William II shoe, which is by far the most popular John Lobb shoe, is a double buckle monk shoe with a hand stitched toe cap. Special care is taken to select the leather that will be used and the traditional British stitching on the bottom of the sole is done entirely by hand. William II shoes can be found online at JohnLobb.com for $1,240, or at all Hermes stores. More than a money clip, less than a wallet. The Magic Wallet by J. Crew is perfect for those of us who are likely to carry more credit cards than we do cash. It carries just enough credit cards and IDs without having to deal with an extra fold in the wallet, and a compartment in the center can easily hold cash if that’s how you roll. Buy the Magic Wallet at J. Crew for the modest price of $25. As of this posting, the wallet is unavailable until April 7th of this year, but if you’re in luck if there’s a local J. Crew store at your nearby mall. The recent passing of Alexander McQueen is a tragedy and a loss for the fashion industry. We’ve had a few items suggested to us from his catalogue of work, and this is the first of them. The Heart Peep-Toe Pumps feature a black leather construction about 5 inches high with a 1 inch platform and stiletto heels. The front of the shoe features the heart-shaped peep-toe, and the undersole is available in a variety of daringly bright neon colors. Available for $699 from Zappos. If you’ve been searching for a classic watch that goes with just about anything, look no further than the M&Co. Bodoni watch, designed by legendary designers Tibor and Maira Kalman. This watch is sure to satisfy the needs of both fashion and typographically inclined individuals, and is available at the online MoMA store for $105. 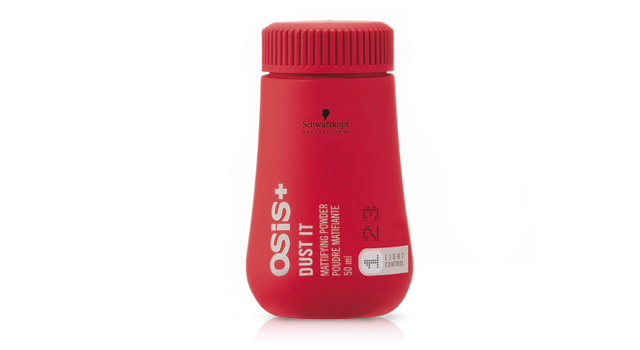 If you’re looking for a hair product that doesn’t give you the shiny appearance of hair wax or pastes you should try Osis Dust It by Schwarzkopf. This product will give you the texture you desire through a powder form that allows your hair to move naturally. Sprinkle it directly on your hair roots for a volumizing effect or work it through your hands and apply to your ends for a separated look. Dust It works great on all hair types and is available for $12 on Amazon. Scott Hansen (also known as ISO50 or Tycho) is one of our favorite designers, and it’s no surprise that his merchandise shop houses quite a few prints, shirts, and even albums that we’d love to own. With a bit of a classic retro modern design flair, you’re sure to find something amongst his wares. 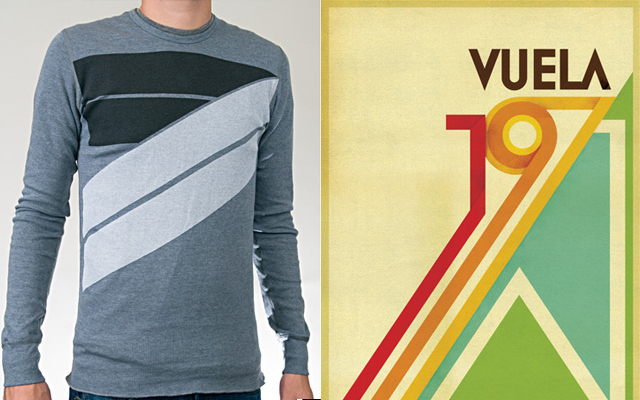 Take, for example, the SYV mens thermal shirt ($30 and also available in womens) or the Vuela 1979 print ($17) pictured above. Designed by famed fashion designer John Varvados, winner of GQ’s Designer of the Year in 2007, these sweet Converse shoes will definitely be a nice upgrade from your old pair of shoes—plus, the transparent soles are incredibly awesome. They’re available at a discounted price of $83 at Nordstrom, or the regular price of $125 at Zappos.